This is a blog post that I wrote for my Swedish blog last January. It’s now translated because I think it’s so important. Please add your own advice in the comments below, or let me know if you disagree on something. We might have a good online discussion about it! I’ve been active on dog forums of different kinds for 15 years. Through them, I’ve made friends, learned new things and most of all – discussed most subjects on dog ownership and dog training with all kinds of people. Today, we have these discussions in Facebook groups. They have taken over the role of the forums I used to visit in the past, and the discussions are more intense than ever. We used to think that anonymity – lots of people were anonymous on the old types of forums – made people say things they wouldn’t if people knew who they were. I think we were wrong. Very few are anonymous on Facebook, but the tone is more aggressive than ever. Some subjects are more infected than others, like training methods and the type of relationship we have with our dogs in everyday life. Dog breeding is also a subject that seem to engage and divide. Assume that everyone that you’re discussing with loves their dog (or the sport, or the breed) and are trying to do the best they can. It’s very likely that others care about their dog as much as you care about yours, and that their opinions also are based on wanting to make the best choice for their dog (or sport, or breed). Even if you’re convinced that your way is the best way. Assume that others also are knowledgeable – even if they don’t share your opinions. Be humble and realise that there are people that know less than you (and need someone to teach them in a nice way – harassment won’t help) AND that there are people with more experience and more knowledge, that know things that you don’t. Try to inform yourself about other points of views and interpret them as generously as you can. Do a thought experiment where you try to make a case for the other view as well as you can. Don’t argue agains a vulgar version of what the person you’re discussing with is promoting. Always give the benefit of the doubt and ask “do you mean *generous interpretation of the opposite view*” before assuming the worst. Be ready to back upp your claims with relevant references if you’re claiming to present facts. It’s not enough to say “google it yourself” is someone is asking. Separate facts and opinions and don’t present your personal opinions as facts if they are opinions. Remember that there are a lot of people that don’t engage in discussions. They still read them. You might not convince the person your discussing with, but if you’re nice, factual and present good arguments, you have a much better chance of changing the minds of people that are just reading and not commenting. Be open minded about learning new things. You will benefit from understanding other ways of doing things and understanding other points of view, even if you’re not using everything you learn. It’s also very boring to discuss with someone who isn’t able to ever change their mind or learn from someone else. This might be even more important in real life than in online discussions. If someone does something that I don’t see the point in, I like to understand why they do it (especially if they are successful). I will be able to use that knowledge later on, even if I’m not incorporating it into my own training. Time to head out in the snow for some sheepdog training with a friend! We all have limited time and energy for training our dogs. Life gets in the way of training all the time. 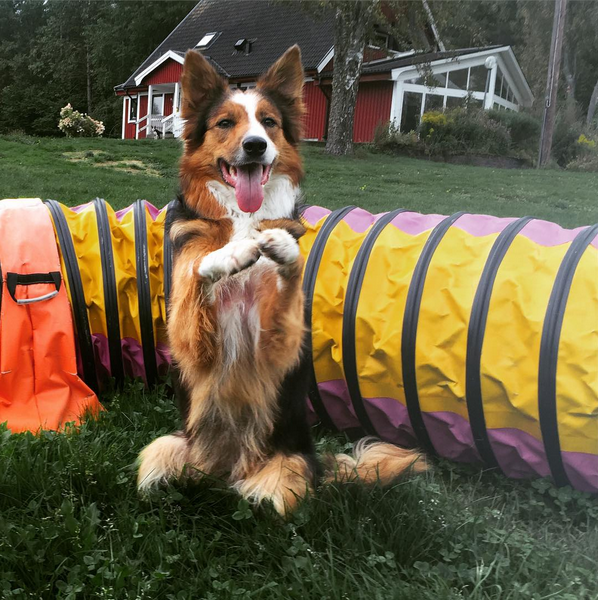 Make sure that the time you spend training your dogs is spent in the best way possible. Very small adjustments to what you’re already doing can make a huge difference in how successful your sessions are. Take your training seriously and consider these simple points that will improve your training if you’re not already doing it. Yes – you have to spend a little more time and energy before you can start training, but you’ll get much better results and a more focused dog. Prepare the area before you start your session. Set the stage for training by making sure that the environment you’re training in doesn’t have unnecessary distractions. Make sure that your rewards and props are in place. CUT UP YOUR TREATS! It’s worth it, i promise. You don’t have time to pluck that hot dog apart with your fingers while you’re training. If you do, you’re not rewarding often enough. Pick treats that are easy to administer and that your dog likes. If you’re using a toy – make sure to pick one that works well with what you’re teaching. 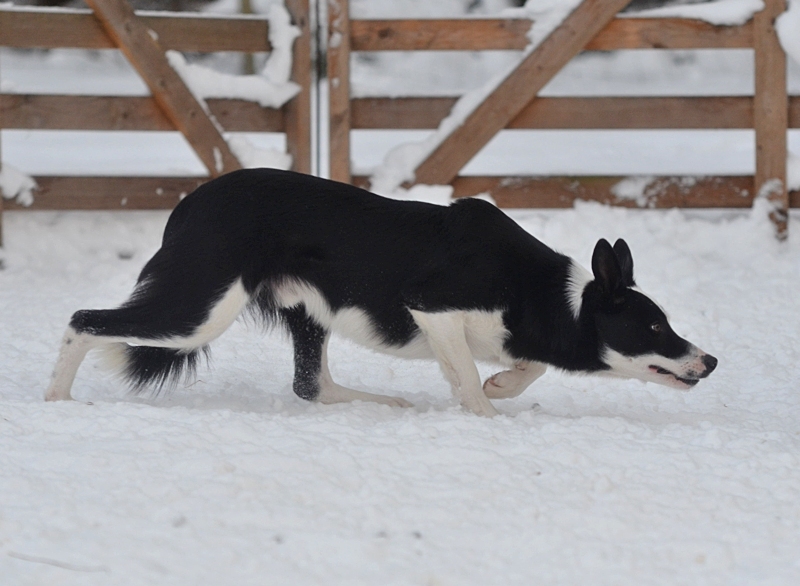 Rewards are not only about the dog liking them, but also about being able to place them where you want and to be able to move on to the next repetition quickly once the reward is done. Make sure your dog is pottied and warmed up. Are you at your best when you really need to pee? Or when you’re just woken up from a nap? Probably not, and it applies to your dog as well. Make sure he’s well pottied and awake before attempting to train. Know what your goal is and train one thing at a time. Training is always less efficient if you don’t have a goal and a plan. Your goal should be specific to that session and easily measured. Make sure to articulate it if you’re training with a friend or instructor. If you’re training by yourself it might be a good idea to write it down. Always check to make sure your dog is engaged before starting your session, and before moving on to a new repetition. Is your dog excited by the reward? Does he focus on working as soon as the reward is finished? If not – you have to address that first. All other training has to stop while you figure out why the dog isn’t engaged. Is he scared? In pain or discomfort? Is something too distracting? Is the reward not reinforcing enough? Are you putting pressure on the dog without realising it? Fix the problem or change the environment before doing any other training. These guidelines apply both to short sessions in your house and to when you’re in a class or seminar. People seem to be just as sloppy with their preparations when they pay money for training, which is partly why I’m writing this blog post. Make sure you get the most out of your time with an instructor. It’s so unnecessary to spend that time with a dog that gets distracted because of your poor preparation. I hope this doesn’t sound harsh. I just want people and dogs to have more fuvn and less frustration in training. If you’re interested in more training tips, or need help with engagement, rewards and planing, check out our online classes that start on February 5th. Relationship Buildning suits dog owners who wants to develop a great relationship with their dog. You can join with a puppy, a young or adult dog of any breed. A great relationship is the foundation that makes both everyday life and (training for) trials fun and easy. Dog training and ownership is so much more than just training behaviors. Training behaviors is part of it and is quite easy in an environment without distractions. A great relationship makes it so much easier to have success even in more challenging situations. Thomas will guide you in this class and use his experience in reward based training for field trials. Foundation Class is great for anyone that wants to become a better dog trainer. Learn how to develop great rewards, shaping skills, foundation behaviors, self control for your dog, and much more. This class is great for dogs at any level.